Very cute calendars for a wonderful upcoming new year! Very cute product and fast delivery. Highly Recommend Cute simple calendar type. different color page on each month, nice design. Highly Recommend written by mobile Cute design. Small size. Received item in good condition nice thanks! Nice calendar. A bit plain on the inside pages. Item received in good condition. Good paper quality. Value for money and cute. Daughter loves it. May I know is the calender printed with dates of public and school holidays? Thanks! We have put up a list of the SG PH on the listing for buyers to print out for own use. hi, when will you restock the K series? sorry we aren't planning any restocks for the calendars. If we restock, it would reach only in Jan 2018, a bit too late for sales. Do all the designs include the Chinese lunar calendar? Thanks. yes all the calendars have chinese lunar calendar. sorry we are doing clearance sale, so there won't be any restocks for the items. Hi do you still have this in stock ? Kitty in pastel Color? yes. It is design D3. We will contact you if any item is out of stock. 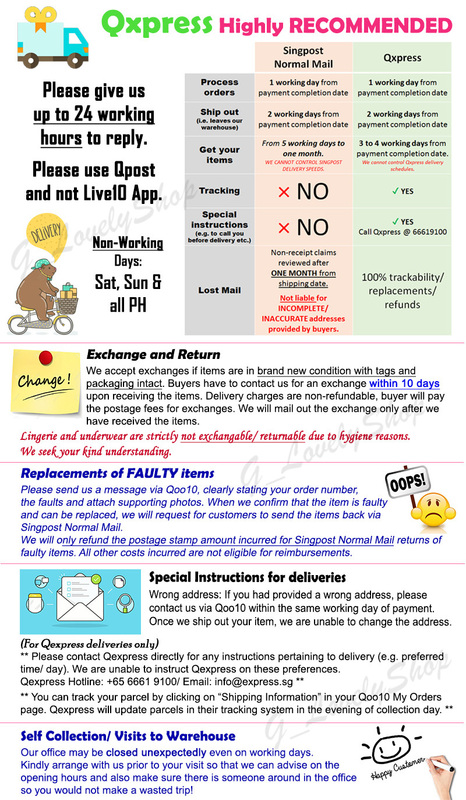 As your shipping choice is Singpost Normal Mail, the items will be placed inside the letter box and not delivered to you directly. Do remember to clear the letterbox and to check it regularly. May I double check the dimension for your i4 Dreamy Pastel Calendar? I notice that other seller is selling the exactcalendar but the size is smaller than yours. the i Series is given as 16.5cm by 17cm by the supplier. This series of calendars actually come in many sizes, but we only stocked up on one size. May I know which design come with biggest box? And may I know the size of each box/day because I need write a lots of notes of meeting schedule in each box/day. One of the calendar come with empty page for write the note? Series B should be the biggest. I will ask my warehouse to measure one box to give you a rough estimate. However, these calendars are all considered small in size. Most of the calendars have the blank page with lines on the flip side for writing notes. Series B has this too. Hi, the measurement of each box for B series is 1.9cm by 1.6cm (including the header box).